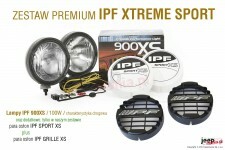 The IPF 901 Driving Lights feature a tough, heavy gauge steel body and hardened glass lens that is submersible up to 11.8 inches for up to two minutes! 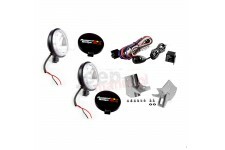 This 5 piece kit black windshield light mount kit from Rugged Ridge fits 97-06 Jeep Wrangler TJ and 04-06 LJ Wrangler Unlimited. 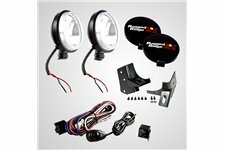 This 5 piece windshield light mount kit from Rugged Ridge comes with stainless steel mounts and black fog lights, fits 97-06 Jeep Wrangler. 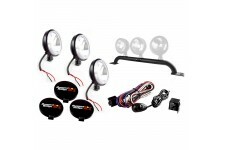 This 5 piece black front bumper light bar kit from Rugged Ridge fits 97-06 Jeep Wrangler. 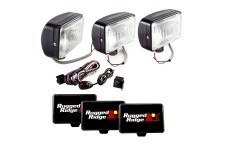 This 5 piece black windshield light mount kit from Rugged Ridge includes slim fog lights, covers, and wiring. Fits 07-18 Jeep Wrangler JK. 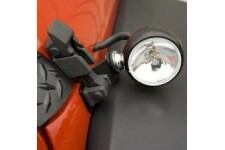 This 5 piece windshield light mount kit from Rugged Ridge comes with stainless steel mounts and black fog lights, fits 07-18 Jeep Wrangler JK. 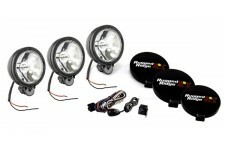 This 5 piece black front bumper light bar kit from Rugged Ridge fits 07-18 Jeep Wrangler JK with 3 slim lights. 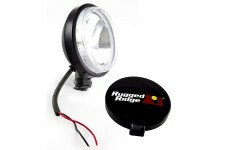 This halogen driving light from Rugged Ridge is a 6 inch round, 100 watt, light in a black steel housing. Includes wiring and a black light cover. 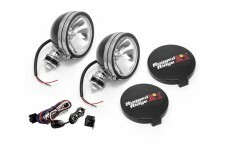 This halogen driving light kit from Rugged Ridge includes a pair of 6 inch round 100 watt lights in black steel housings and hardware to wire them. 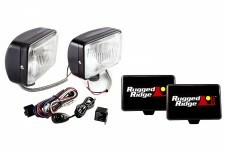 This halogen fog light kit from Rugged Ridge includes two 5 inch x 7 inch 100 watt lights, a wiring harness, relay, dash switch, and light covers. 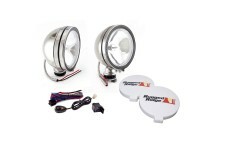 This halogen driving light kit from Rugged Ridge includes two 6 inch round slim 100 watt lights in black housings and wiring harness. 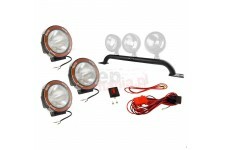 This halogen driving light kit includes three 6 inch round 100 watt lights in black steel housings and everything you need to wire them. 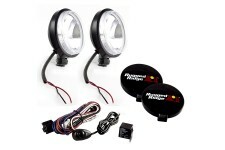 This halogen fog light kit from Rugged Ridge includes three 5 inch x 7 inch rectangular 100 watt lights in black steel housings. 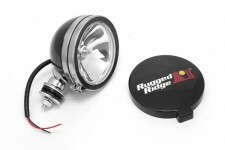 This 6 inch halogen driving light kit from Rugged Ridge includes three 100 watt lights in black steel housings with the hardware to wire them. 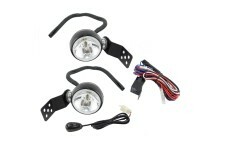 This hood catch mounted H3 halogen fog light kit from Rugged Ridge fits 07-18 Jeep Wrangler. 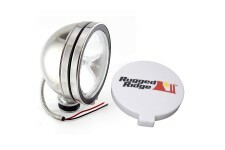 This halogen fog light from Rugged Ridge is a 6 inch, 100 watt, round light in a stainless steel housing. 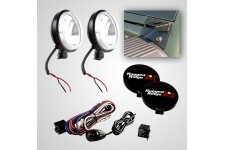 Includes wiring and a white light cover. 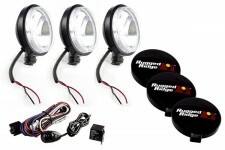 This halogen fog light kit from Rugged Ridge includes a pair of slim 6 inch 100 watt round lights and the hardware to wire them. 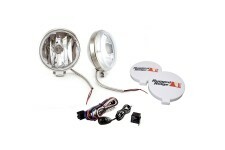 This replacement 100 watt 3 inch fog light for Rugged Ridge 15207.70 will replace your broken light if it was hit by a rock or otherwise damaged. 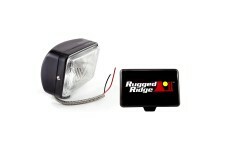 This halogen fog light from Rugged Ridge is a 5 inch x 7 inch rectangular 100 watt light in a black steel housing. Includes a black light cover. 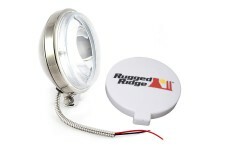 This halogen fog light from Rugged Ridge is a 6 inch 100 watt round light in a slim stainless steel housing. Includes wiring and a light cover. 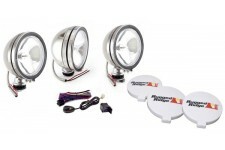 This halogen fog light kit from Rugged Ridge includes three round 6 inch 100 watt lights in stainless steel housings and the hardware to wire them.